The first thrilling tale of adventure, friendship and discovery in the Pirate Princess series. Meet Lotty, the brave, young orphan whose life is about to change forever. When Lotty is cast out from the Sevenoaks home for children, she must use all her courage to navigate her new life. On her travels she meets Mr Jacks, a little dog with attitude who accompanies her on her adventures. 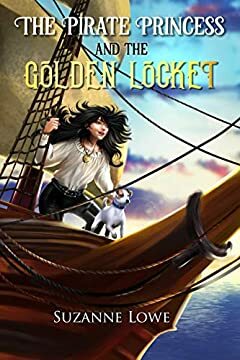 When they find themselves ship-wrecked, together, they encounter ruthless pirates, hidden treasure and discover the truth about Lottyâ€™s golden locket. A story full of excitement and adventure, filled with friendship, humour and pirates! Readers who enjoy adventurous tales with humour, and action will enjoy reading about Lotty and her little dog, as she journeys from the orphanage, to life on the seas.